Social Security, Medicaid, Medicare and SSI were also beset with major early problems, but ended up being embraced. Democrats hope history repeats itself. WASHINGTON — Although multiple problems have snarled the rollout of President Barack Obama’s signature health care law, it’s hardly the first time a new, sprawling government program has been beset by early technical glitches, political hostility and gloom-and-doom denouncements. President Franklin D. Roosevelt faced heavy skepticism with his launch of Social Security in 1935-37. Turbulence also rocked subsequent key presidential initiatives, including Lyndon Johnson’s rollout of Medicare and Medicaid in 1965, Richard Nixon’s Supplemental Security Income program in 1974 and George W. Bush’s Medicare prescription drugs program in 2006. Yet these programs today are enormously popular with recipients. 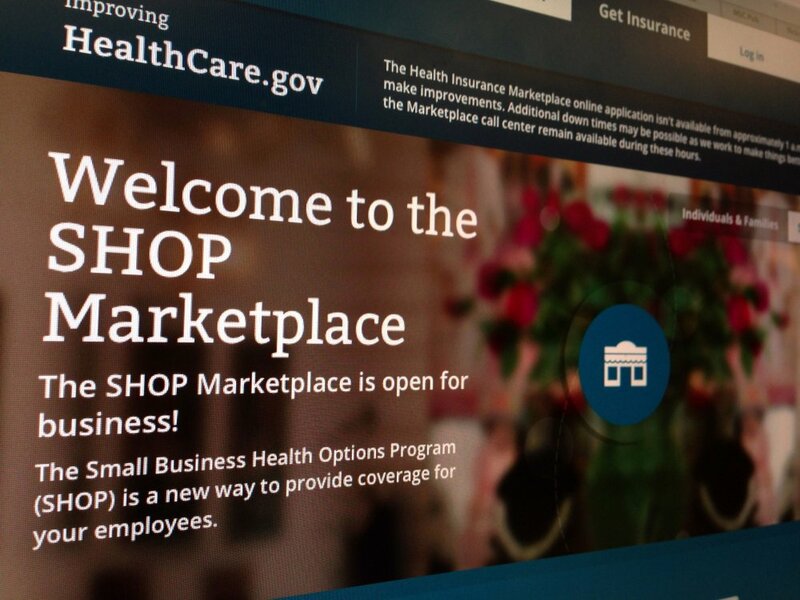 Obama and allies hope history will repeat itself on the health insurance overhaul. “Every day I check to make sure that it’s working better,” Obama said playfully the other day. With more and more Americans successfully signing up for the program, some Republicans have dialed back their harshest criticism. Still, the overall negative political fallout could damage Democratic chances in the 2014 midterm elections and possibly beyond. Any new major federal program is a likely target for early criticism. But the heaviest assaults seem to fall on social benefit programs like Social Security and its health care cousins Medicare and Medicaid. These “entitlement” programs are easy lightning rods because they affect so many Americans, directly or indirectly. After FDR kicked off Social Security in 1937, Washington’s pre-computer age bureaucrats faced enormous hurdles enrolling people for the old-age benefits. Many had the same or similar names. Not all employers kept detailed records on employees and how much they were paid, further complicating the process. Alf Landon, the 1936 Republican presidential nominee, called Social Security “a fraud on the workingman.” Former Republican President Herbert Hoover suggested it would imprison elderly Americans in the moral equivalent of “a national zoo.” The program drew participants slowly. Not until the 1970s did all working age Americans have basic coverage. Medicare and Medicaid, too, encountered early difficulties. For example, Johnson had to overcome resistance in some southern states to including African-Americans in the coverage. Nixon’s steps to overhaul U.S. welfare programs with the Supplemental Security Income program drew heated, early public opposition. Many states were reluctant participants. And by 1976 only about half of potential recipients were signed up. Today, the program covers more than 8 million Americans. The heat Obama is experiencing today closely mirrors predecessor Bush’s experience with the Medicare Part D prescription drug program. Bush’s 2006 rollout expanded Medicare by offering seniors prescription drug coverage. It was pummeled at first – mostly by congressional Democrats but also by some Republicans. Rep. John Boehner of Ohio – now House speaker, then House Republican leader — summed it up in one word: “horrendous.” Republicans lost control of the chamber that year. Just as now, the website for the plan malfunctioned at the outset. Massive computer glitches sent pharmacies faulty drug information and denied many beneficiaries their prescribed medications. Seniors were confused by the options available. Bush mounted cross-country bus tours and campaign-like appearances to promote it – just as Obama is doing on health care. Once the prescription benefit law took effect, attention suddenly shifted from a general philosophical debate over government’s role in subsiding health care to a discussion of costs and benefits of the new program, said Mark McClellan, who ran the Medicare program in the Bush administration and oversaw the prescription-drug rollout. Despite the rocky start, most problems were ironed out during the first year, McClellan said in an interview. Obama’s program, with far greater scope and more moving parts, “is going to take at least a few years, not just one. There are still bumps in the road,” he said. “Big change is unnerving, it’s troubling. And it gets almost as big as it can be when you get into health, which virtually affects everybody,” said presidential scholar and historian Stephen Hess, who’s worked for four presidents and has seen many shaky program premiers up close. Despite rough beginnings for such programs, he said, they mostly “got improved over time, either legislatively or in terms of regulation or simply knowing how to organize a program.” Obama should realize that “this too shall pass. Wait it out and correct things as you can,” said Hess. Of course, success stories from Social Security to Medicare prescription drugs represent the survivors – not the failures. One that completely blew up is the Medicare Catastrophic Coverage Act, which had broad bipartisan support when it was enacted in 1988 and signed into law by President Ronald Reagan. Intended to provide new medical benefits for the elderly, including expanded payments for nursing home care, the program also imposed staggering new costs on those it sought to help — an extra monthly Medicare premium and a surtax for people over 65 with incomes above $35,000. The law was repealed a year after its passage, after angry seniors launched nationwide protests. Several other ambitious health care overhaul proposals never became law. President Bill Clinton’s big 1993 effort — the work of a study group headed by his wife, Hillary Rodham Clinton, and dubbed “Hillarycare” by foes — failed to win congressional support. Same with Bush’s 2004 re-election proposal to allow younger workers to invest part of their Social Security tax payments in stocks or other investments. Many big social programs have rocky rollouts because the government is basically not good at setting up such complicated enterprises, suggests Paul C. Light, professor of public service at New York University. As of Dec. 21, more than 1 million people had signed up for private health plans in the exchanges created by the law – a long way from the 7 million the administration projects by April 1.